Chatbots are something that cannot be ignored if you are looking to improve operational efficiency, reduce service costs, and increase employee productivity. They are called “Intelligent Apps” and have emerged as one of the most talked about technological innovations in recent times. Organizations are using chatbots in exciting ways; customer service being one of them. There is a strong and growing interest in using digitally intelligent agents, available 24/7, for resolving customer requests quickly, consistently and in a cost-effective manner. 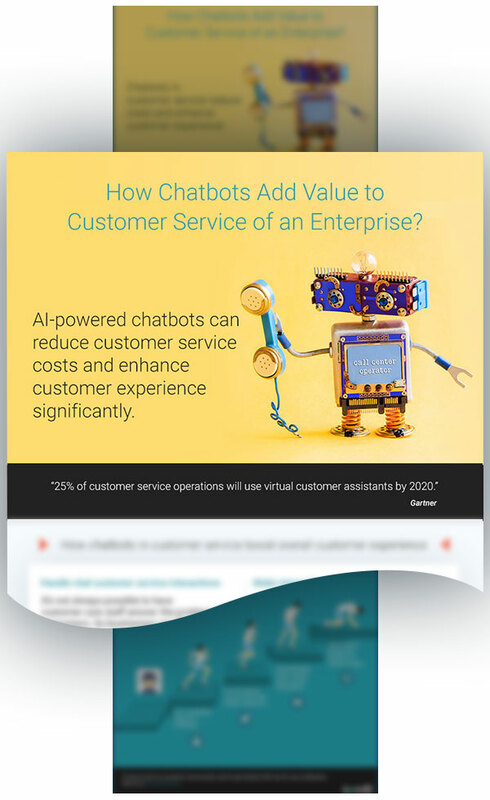 Organizations that understand the value of customer experience and the need to reduce costs are implementing bots to automate many of the customer service functions. This infographic talks in detail about how virtual assistants improve your customers' service experience and the long-term benefits they bring to your business.